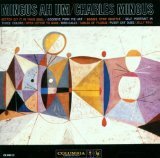 Mingus Ah Um is ranked 2nd best out of 38 albums by Charles Mingus on BestEverAlbums.com. The best album by Charles Mingus is The Black Saint And The Sinner Lady which is ranked number 135 in the list of all-time albums with a total rank score of 19,453. Members who like this album also like: Kind Of Blue by Miles Davis, The Black Saint And The Sinner Lady by Charles Mingus and Time Out by The Dave Brubeck Quartet. Related links: top tracks by Charles Mingustop tracks of the 1950s, top tracks of 1959. Showing latest 5 ratings for this album. | Show all 524 ratings for this album. 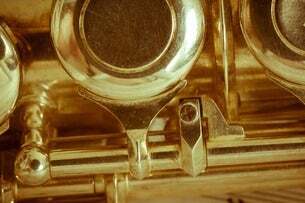 Some hints of forwardness but mostly wallpaper jazz scales. Great musicians and great sound though. An interesting but not brilliant album. Up there with Giant Steps and Kind of Blue as among my absolute favorite jazz records. An extraordinary work. Probably Mingus' 8th best album -- the idea of which sheds light on just how amazing he was (the greatest jazz artist of all time). The Jazz I prefer tends to be more like Black Saint and the Sinner Lady so I never gave this album the proper chance. Damn this is good, better than Black Saint and the Sinner Lady in my opinion. Makes me feel alive. His greatest work. This album still has the same effect on me a dozen years since I first dug it. Bird Calls, an erratic, rough tune that jams off a flycatcher he must've heard somewhere in his wandering. A flycatcher! Who the hell would make a jam on the complaining trill of a flycatcher? Mingus could. He had the best band for its size. They were so tight together. Dannie Richmond kills me! And Portrait in 3 Colors still makes my heart melt. Even the outtakes added to later additions are amazing. This album is as sweet as KOB, smokes as hard as Miles Smiles, and has more lasting power than all my favorites. This is a great place to start digging Mingus, as his modality will catch on here, and the other more repetitive motifs will make sense later as your enthusiasm takes off. Mingus is like Monk in this way. Initial listens leave you wondering what the big deal is, and the hooks start to accumulate. Both had perfect meters, and the tightest rhythm sections, but Mingus had a fuller vision, and fuller sound. It's not instant love, like it was for 'Black Saint...'. It's messier, less focused, but it's rowdy, rather consistent fun. Another jazz album from 1959, another classic. A top 5 pre-Beatles album, Mingus Ah Um is an increduble album that both looks back at jazz's early sound, and forward to ways that the music could be expanded. Mingus was able to do so much with his bands, which had more ability in its band of less than ten than most big bands had. Mingus' bands had the ability to sound like a small quintet and a bug band due to its size, and Mingus is able to explore both of the these sounds on thus album, to excellent effect. Only my first listen, but damn I'm already in love with what I heard. This record holds up so well being almost 60 years old. Can't wait to listen again.